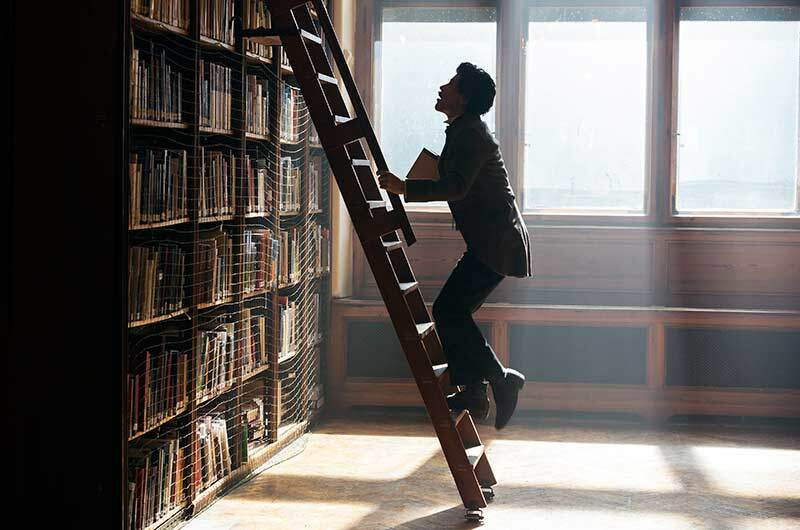 “The important thing is to not stop questioning. 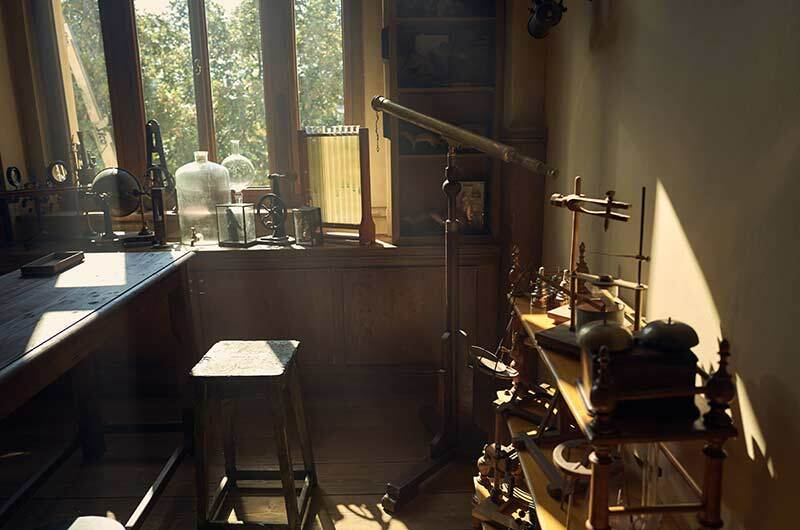 Clocks were important to Einstein, especially since time was prevalent in his theories. In 1932, he and his wife immigrated to the U.S. and settled at the newly formed Institute for Advanced Study at Princeton. He never returned to Germany. “We have to do the best we are capable of. 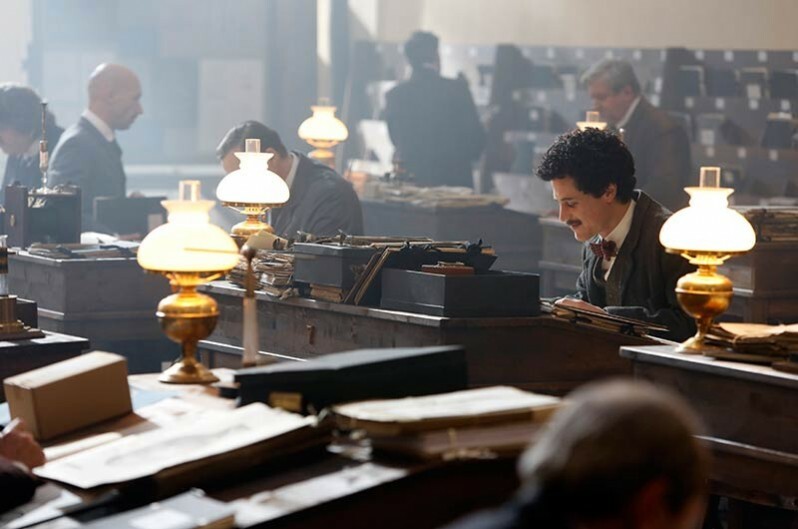 The fascinating story of Albert Einstein’s life is revealed in the immersive GENIUS, a 10-part series in which Geoffrey Rush and Johnny Flynn bring energy and life to portrayals of the older and younger physicist, his amorousness, his commitment to non-conformity, and his capability for appreciation of beauty and joy and his incredible scientific inquiring mind. The lush sets draw us into the story and help find the characters within. Well, I’m the showrunner, sort of the euphemism for head writer, chief creative guy, and I developed the series for television with a young writer named Noah Pink. 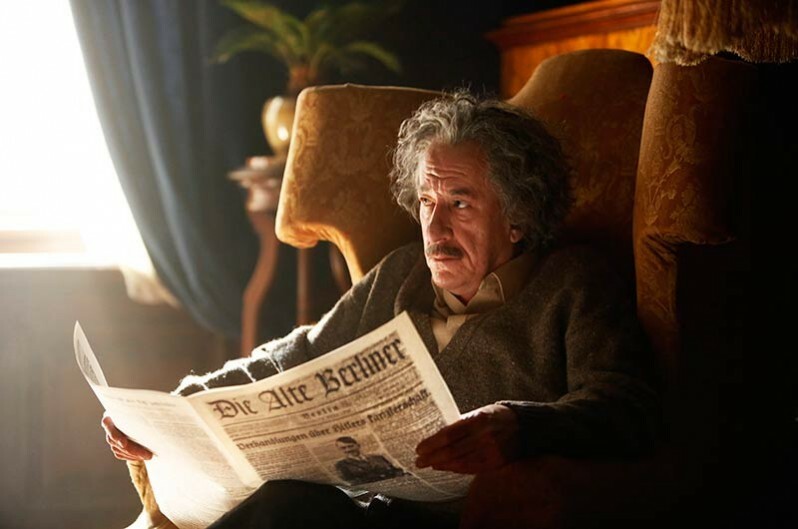 We developed it together for television, based on a Walter Isaacson biography of Albert Einstein, LIFE AND THE UNIVERSE, so I had a hand in writing all the episodes with all the writers and directed the last 3 episodes. Biller: Well, I’ve worked on some science fiction shows, and some science fact shows—a recent show, PERCEPTION, had a lot of science fact and a lot of neuroscience—so science is something that has always interested me. 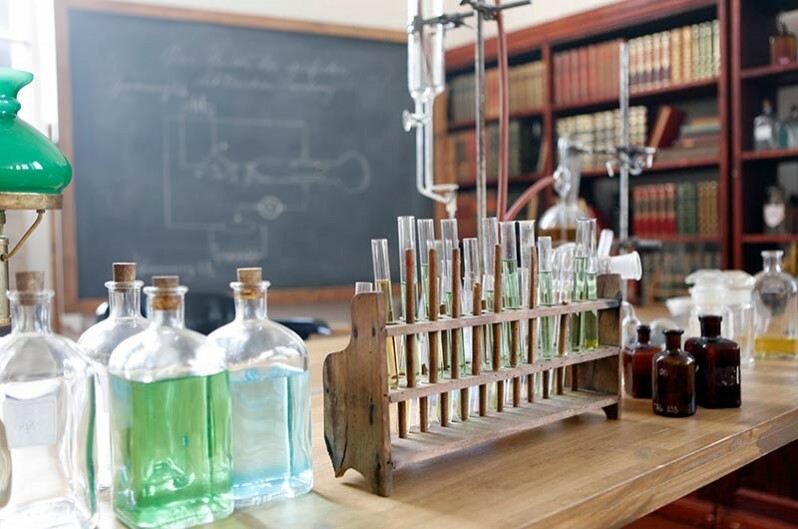 I am not by any means anything close to a scientific genius, in fact I was never a great science student, but it has always fascinated me. And one of the great things about being a writer or doing a television show is that you get to become a student again and learn about things you never knew. Biller: Yeah, exactly! 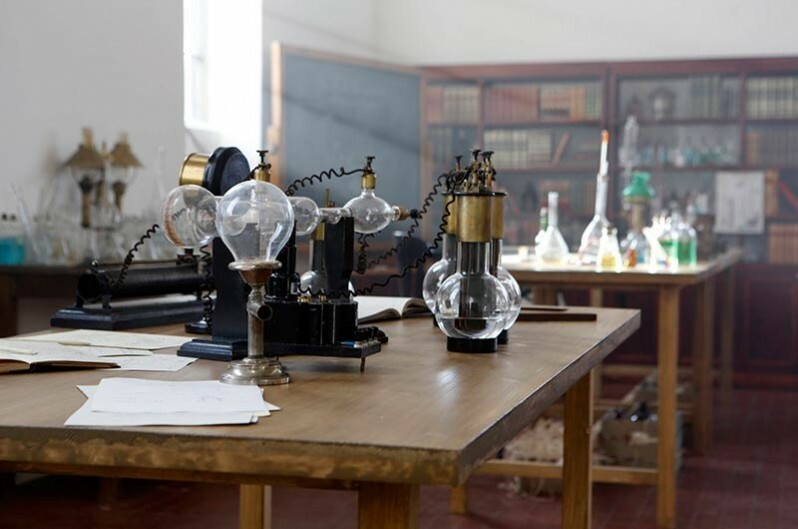 One of the things that I should say about GENIUS is that it is a 10-part series about arguably the most famous scientist in human history and arguably one of the most brilliant men in human history. And so, part of the challenge is how to accurately depict a man who was obviously so much more brilliant than I will ever be. We definitely felt a responsibility to get the science correct, but I will say very clearly that the series is not a science lesson! We worked with a lot of consultants, physicists, both in production in Prague and in the writer’s room here in Los Angeles to make sure that we weren’t making huge mistakes in terminology. 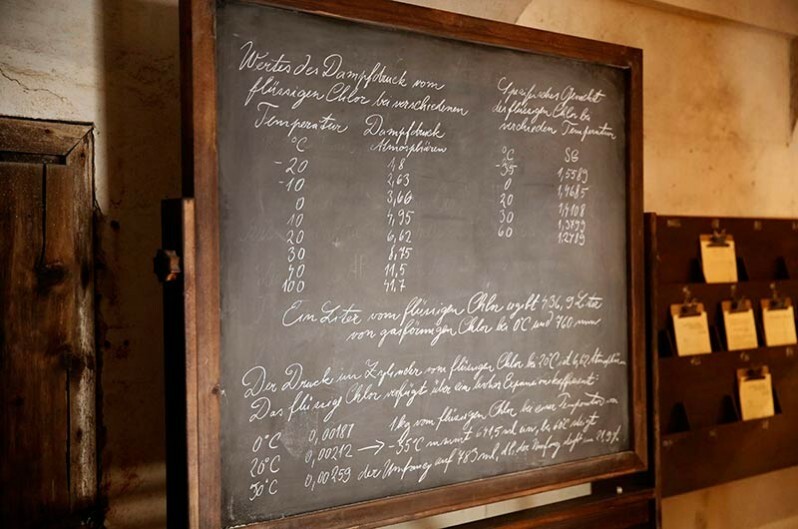 An interesting note for SET DECOR is that there were many, many blackboards and equations that appear on camera, many of which are in Einstein’s hand, and so we had a lot of source material to rely on for that, but also, writing equations and having actors write equations in real time on camera, required a lot of preparation. We had part of the art department that was basically devoted to backboards. And they worked very, very diligently to make sure that the graphics were not only period correct, but scientifically correct, so that anybody watching the show who might be a scientist and might know all these differential equations, unlike me, will not think that we made it up. So, as writers, we had to educate ourselves a little bit, and you know one of the facts about Einstein’s theories is that some of them are very, very difficult to understand. And very few people—even scientists—completely understand them or could explain them. So our job was to make it feel real and make it as understandable as we could, but, for example, in all honesty, I could not explain to you Einstein’s theory of General Relativity. * He was very visual...he was a visual guy. He famously conducted what he called “thought experiments”, which is that he imagined in his head kind of physical manifestations or pictorial manifestations of what his theories meant, of what they were trying to describe. And, of course, he was trying to understand the physical world, so it’s quite interesting that he used imagery as much as mathematics to both derive his theories and then explain them. 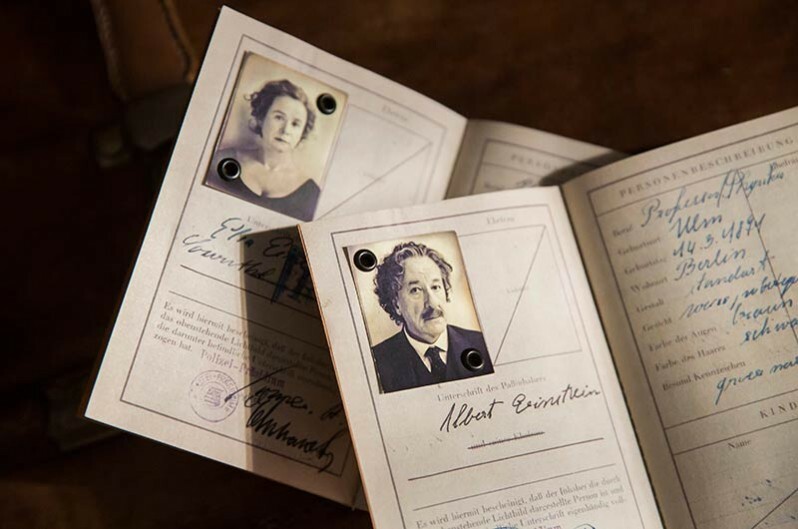 Thus, one of the big aspects of the show is visually getting inside Einstein’s brain and depicting what he was imagining. Or what we think he was imagining. And I know that for Ron Howard, who directed the first episode and kind of set the visual style for the show, one of the things that attracted him to the project was the opportunity to try to come up with visually, graphically, dramatically interesting ways to depict these thought experiments. 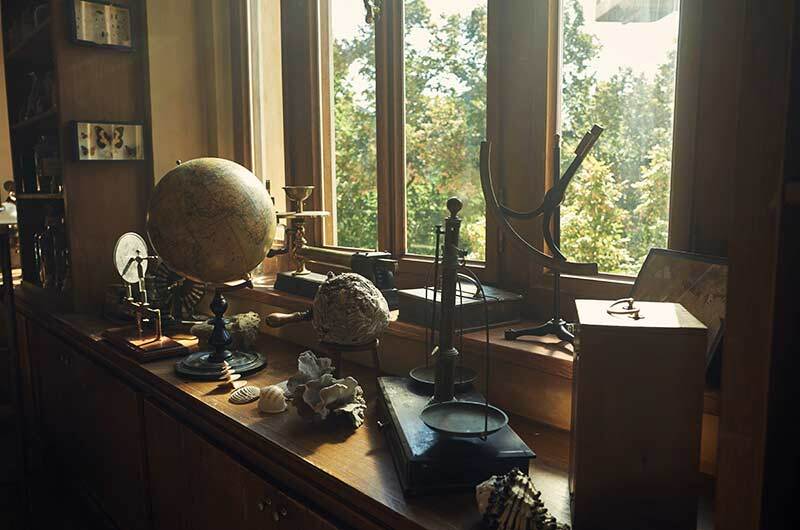 SET DECOR: Ron has mentioned in interviews, and I’m sure this is something you embraced, the fact that you’re doing this with National Geographic Channel and that you want to maintain the quality that the magazine is known for in terms of the visuals and the impact. Biller: True. Absolutely. 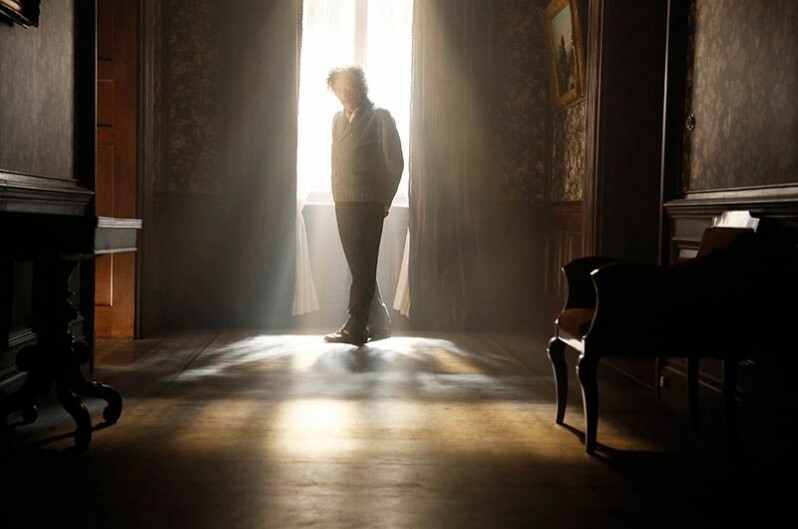 I think Einstein was kind of the perfect subject for Nat Geo to embark on their first scripted series. What I would say, though, and I think Ron would agree with this, first and foremost our job is to be entertaining, to tell it in a compelling, tension-filled story, but, yes, we were dealing with real life and a real subject. You know, part of Nat Geo’s brand is science exploration, AND of course, part of Nat Geo’s brand is beautiful photography, beautiful imagery. 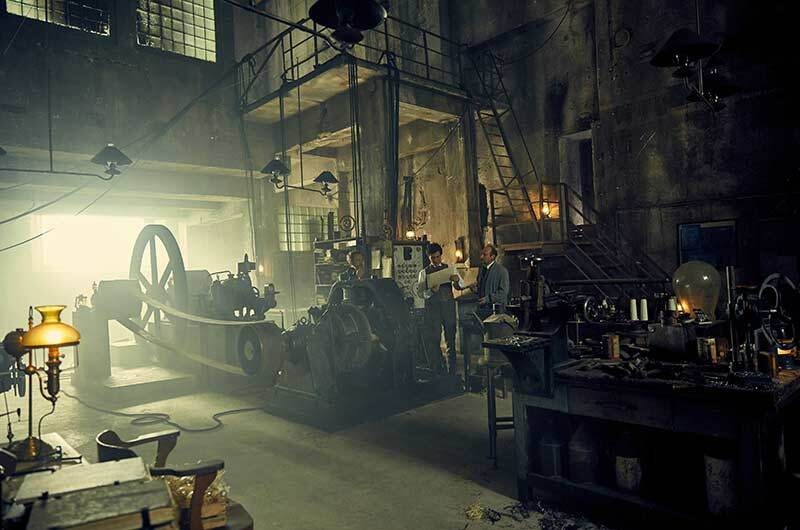 So we felt a responsibility to those, to make the show look lush and beautiful, as the photography and imagery in that magazine has always been, but also to get the history and the science correct. So that was a real challenge, and as I said, I had a really great writing team who did an enormous amount of research and of course, we had the primary resource of Isaacson’s biography, but there are many, many other sources, including primary sources that helped us get the story right. Biller: Yes! We felt a real responsibility to be accurate in those depictions, but the challenge was to be accurate but not boring. I hope that we have, I believe that we have succeeded, that the show is not visually or dramatically boring. In fact I think it is quite dynamic in both of those respects, and that was the real, exciting challenge of the show. 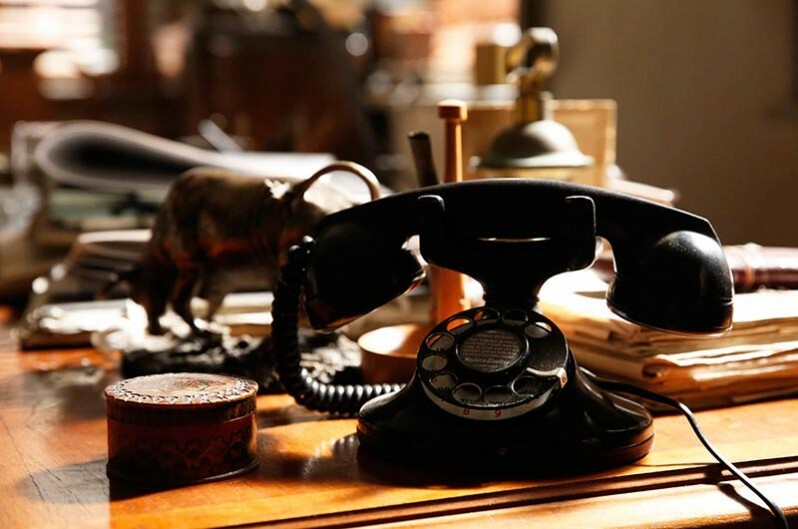 SET DECOR: Of course, you speak to the set decorator’s heart when you speak of authenticity or credibility. 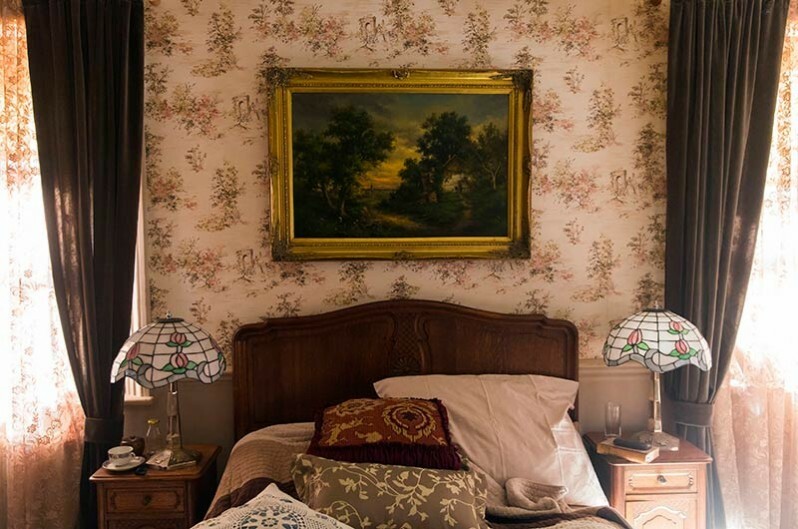 A very essential part of the role of the Set Decorator is to add that visual authenticity to the storytelling. Biller: Yes! 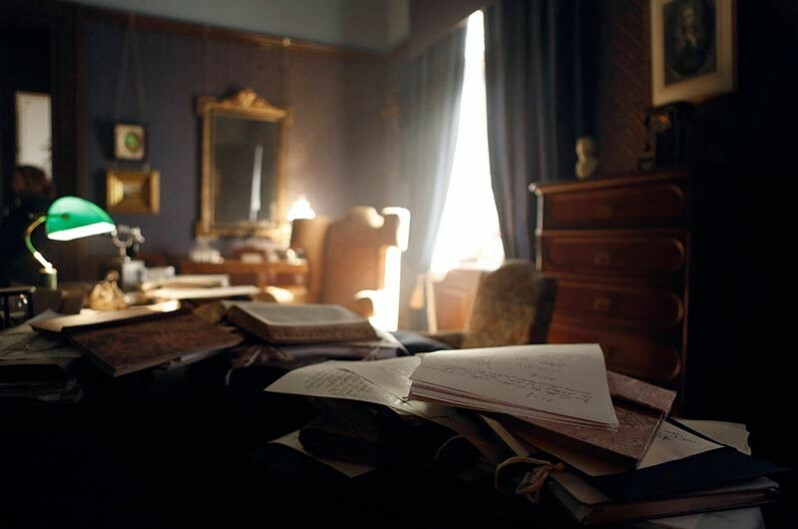 There are times in the script when it is, when there is some specific piece of set decoration or when there is some specific kind of look, but certainly what we wanted was historically accurate but also visually appealing...and, more important, set décor that helps tell the story. 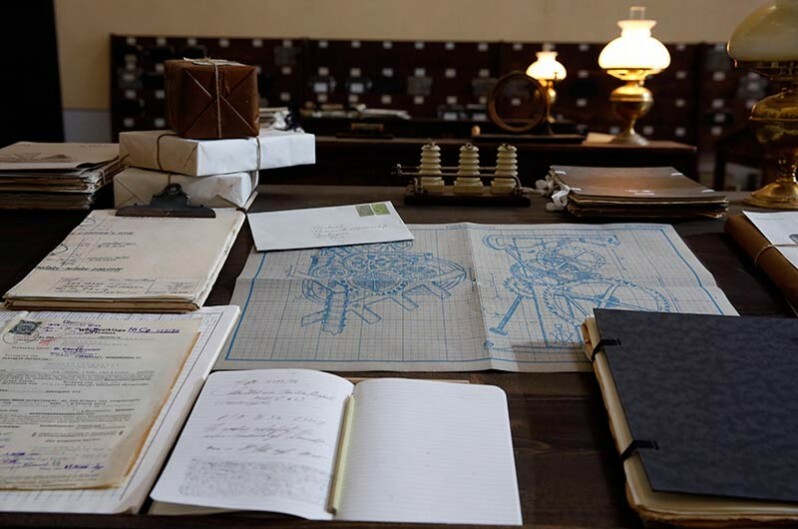 So for example, we know that Einstein’s workspaces tended to be quite cluttered. Certainly for later in his life we have photographs to reference. 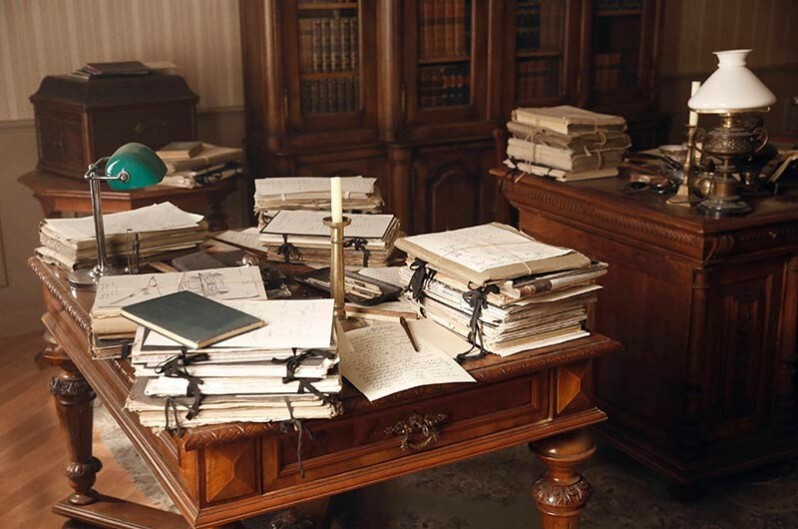 We know what Einstein’s desk looked like when he died. It was all photographed. But for very early in his life, we can’t know from photographs. But we know from the character, and for me, obviously, the set décor really helps to tell the story and illustrate who the character is. 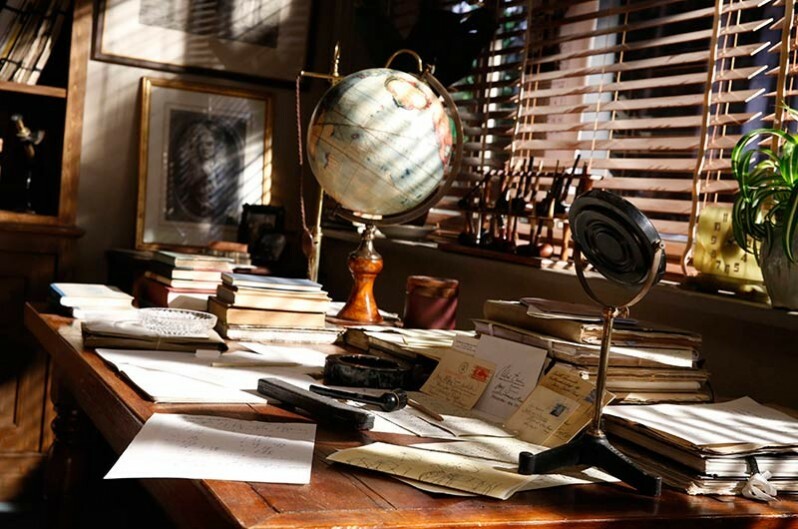 I think our decorators did an amazing job, not only in researching, but also in taking a storytelling approach to the set décor so that while never calling attention to itself, it helped to tell the story of a man whose mind was very busy and very cluttered and who had an appreciation not only for science, but for music and for art and literature and all of those things that can be depicted visually and graphically in a motion picture. SET DECOR: Yes. And don’t we love that! SET DECOR: There are times when the first you learn about a character is from the set, because it’s on screen before the character is. 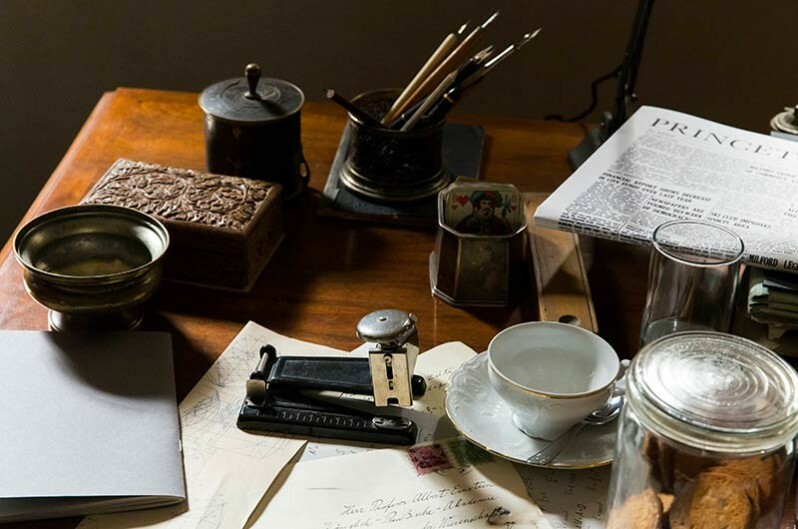 The set décor is giving background for both the audience and the actors and director to immerse themselves in that story, whether it’s the period or the personality of the character being depicted by what’s on their shelf. Biller: I think that’s right. And I think that’s part of Ron Howard’s visual style, which of course, I tried to carry through with the other directors and myself. 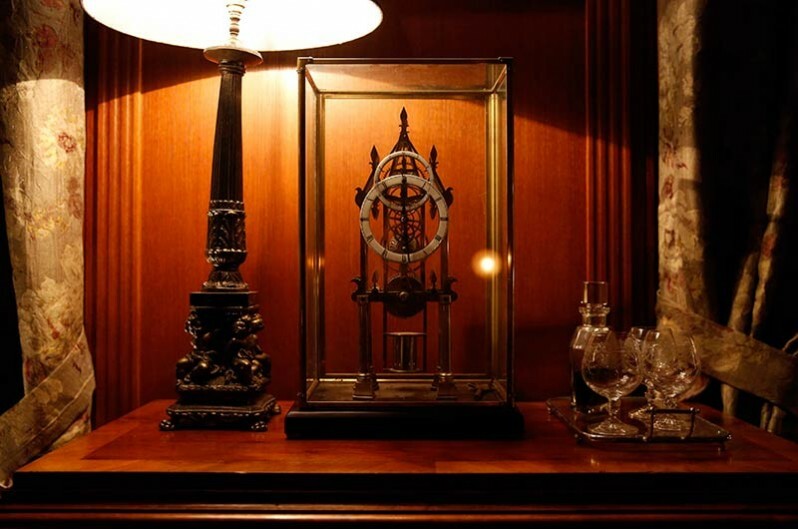 You’ll notice that the first episode opens with images from the set décor. 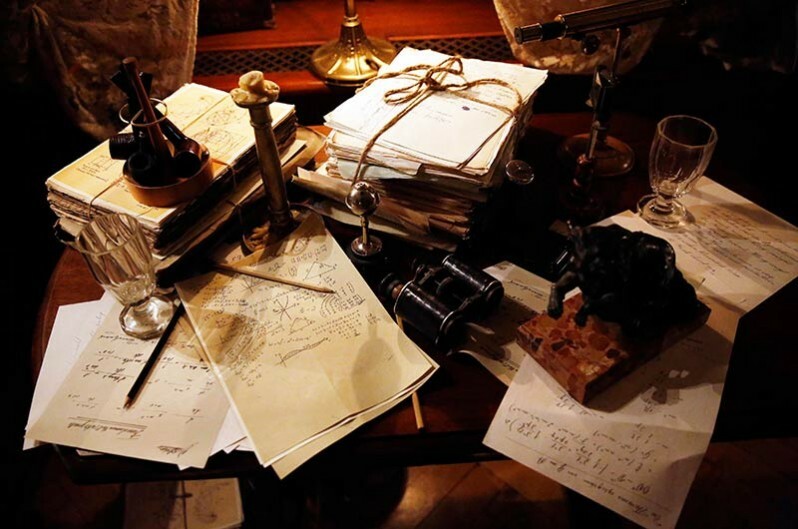 You don’t know really quite exactly where you are, but you’re looking at a desk, and on that desk there’s a newspaper which turns out to be significant, and there’s a pen and a stamp and certain little objects that are really beginning to pull us into the story visually and tell a story. I shot second unit for Ron in that first episode, so I shot a lot of those little insert-y shots that you see at the very beginning of the episode. And that became a very big part of the style of the show. 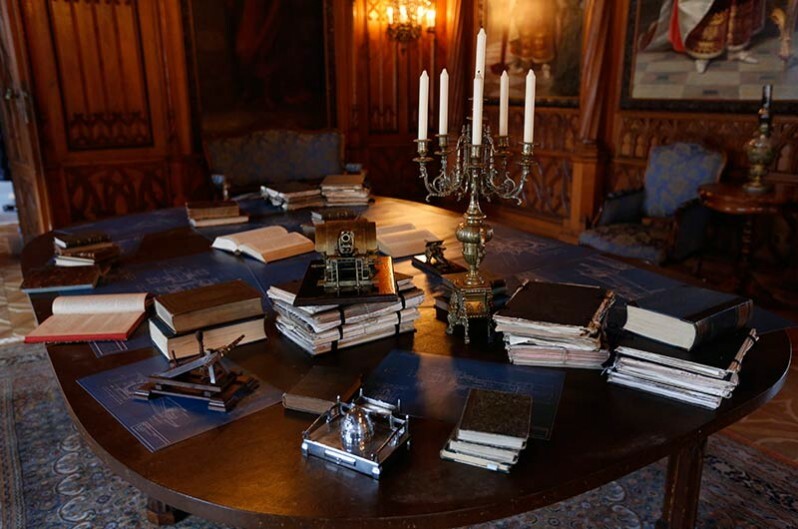 Props and set décor were really, really integral to the look and feel of the show. Ron liked to use lots of macro shots to tell the story. 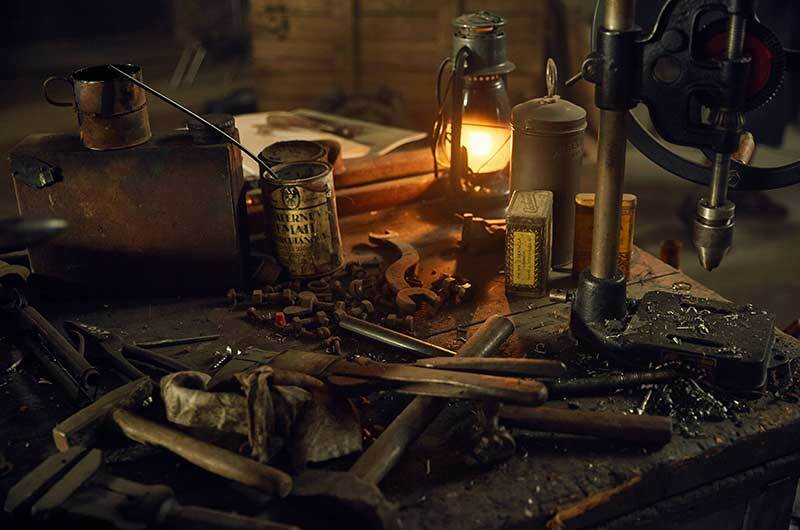 And if you’re doing macro shots, you’re going to be getting very close on documents, on handwriting, on tiny objects, on details on those objects...which means the set decorators and the prop people have to really get them right, you know, to make them worthy of being onscreen. Biller: Well, that’s what makes it fun. To me, that’s one of the big reasons to do it...that you get to, you know as a director or producer, you get to work with all these extraordinary artists and craftspeople who all bring to the table unique skill sets and unique backgrounds. By trying to articulate a vision and then ask everyone to work towards that vision is what makes it ultimately satisfying when it all comes together. It’s not like, you know, a painter in a studio with a paintbrush and a canvas. It takes a lot of people to make it great. The biggest part of my job, I would say, beyond the script, is to try to get all of those people communicating and working together to create a really visually dynamic but also organic and seamless look for the show. 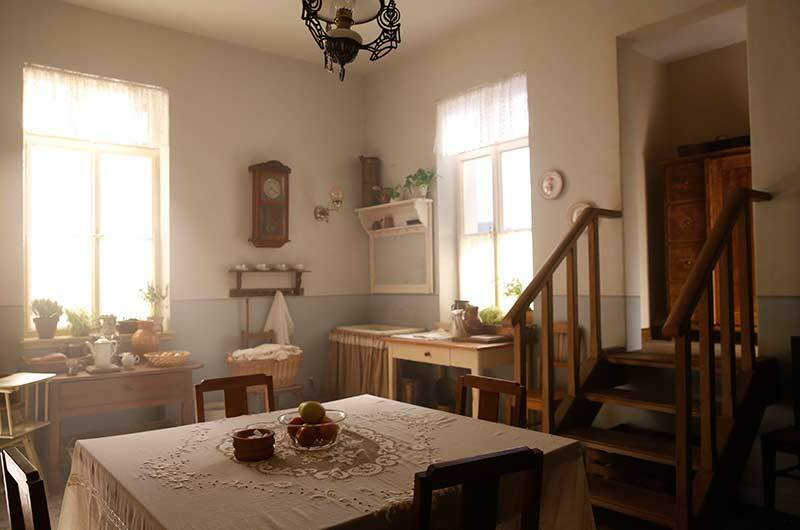 SET DECOR: And this was entirely filmed in the Czech Republic? Biller: It was filmed in the Czech Republic, yes. 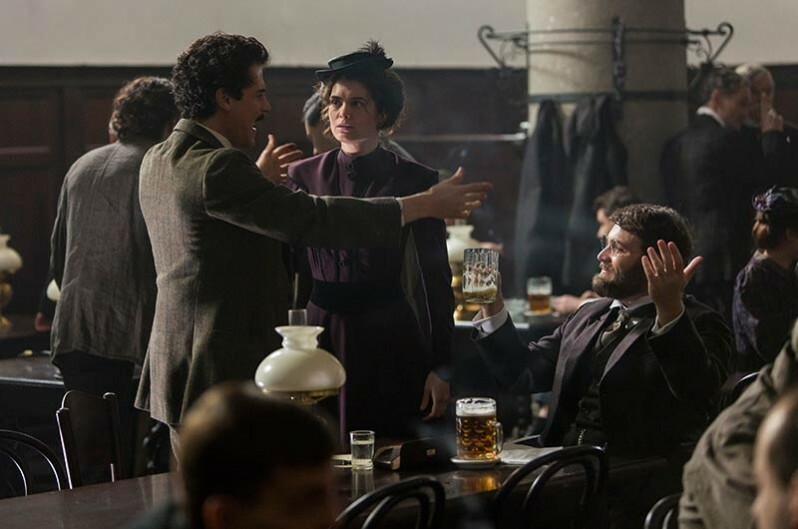 Einstein was very peripatetic, he moved around a lot, so Prague was perfect for us because it’s a beautifully preserved Central European city where we could do a lot of period work. 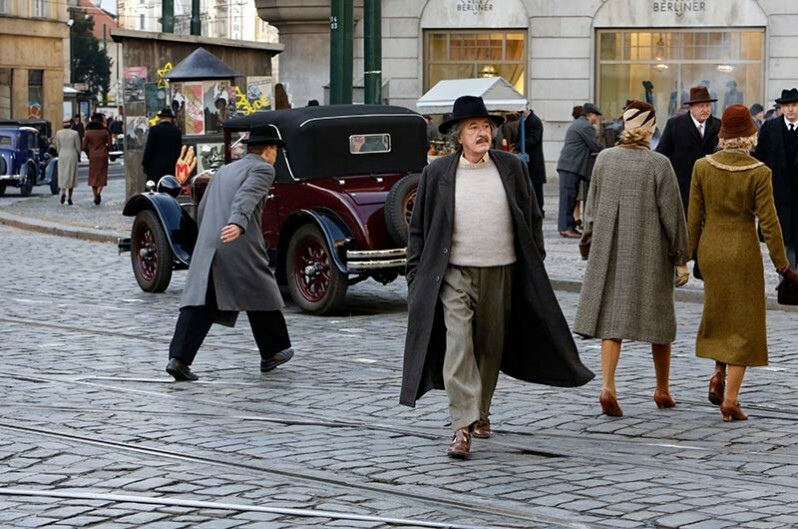 We still had to do, obviously, an enormous amount of art direction/set decoration to make things work, and some visual effects enhancement in some cases, but Prague was able to stand in for Berlin, for Bern, for Zurich, for various cities in Germany, as well as Prague itself, where Einstein lived for part of his life. So we do have one episode where the Charles Bridge is allowed to be the Charles Bridge because Einstein was walking over it! So yes, we shot it all there. The US and was a challenge. 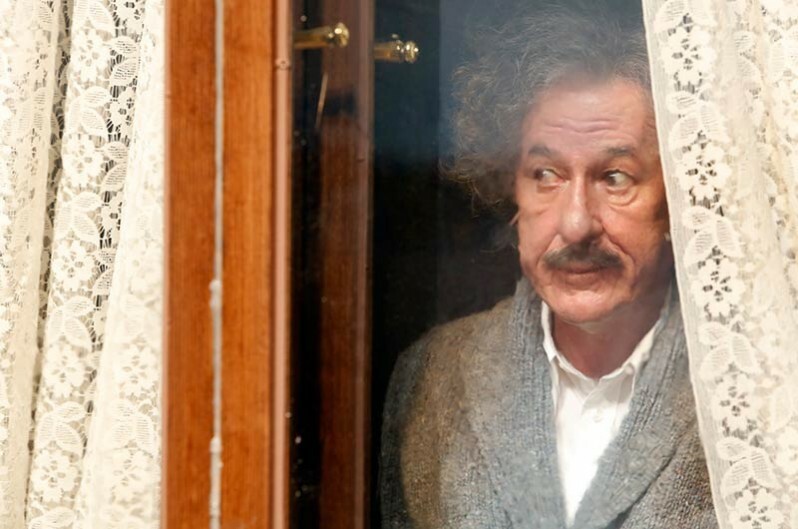 Einstein of course, ends up living in Princeton, New Jersey. 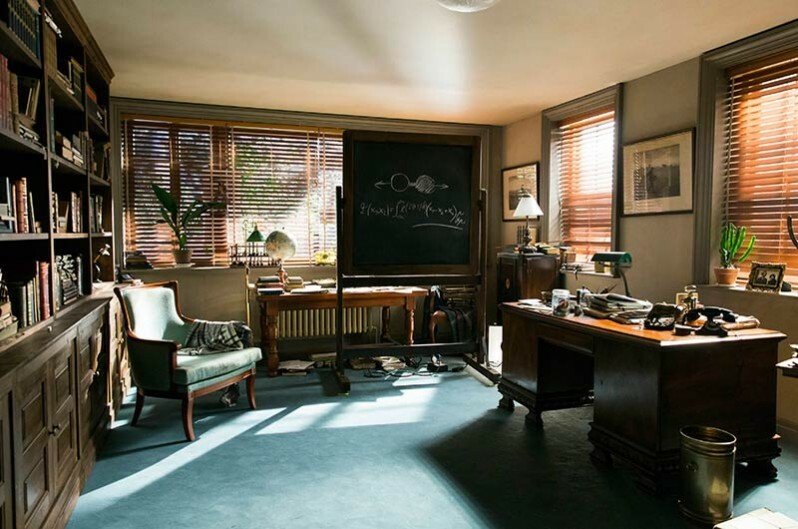 Our production designer for the last three episodes, Matthew Gant, designed a really extraordinary set that was based on Einstein’s house in Princeton NJ on Mercer Street. And it was a pretty faithful but very production friendly re-creation of that. We also re-created his cottage in Long Island, which was a beautiful, craftsmen-y cottage. So those were two really beautiful sets that Matt designed and that our set decorators decorated. 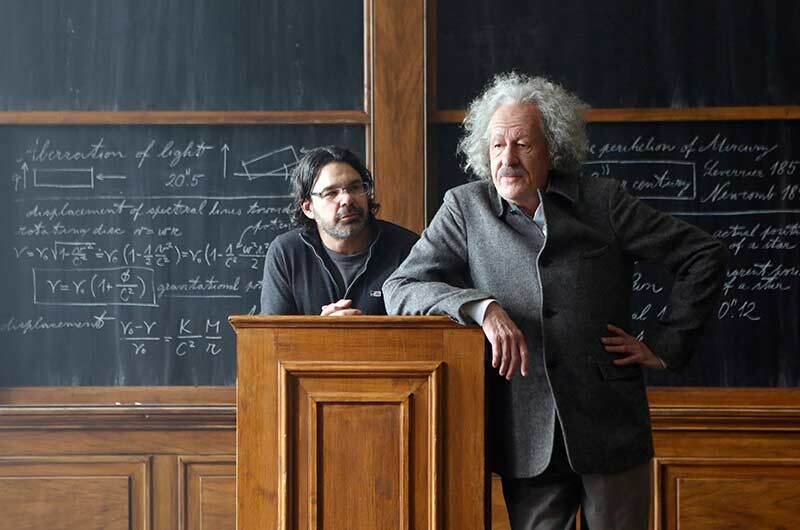 So all of our interiors were shot on those sets and then we actually built the façade of Einstein’s house in Princeton on the backlot at Barrandov Studios. You’ll see that in the last episode of the show. You’ll see the exteriors and that will be obviously a combination of the façade that we built, plus some visual effects that build out the world around it a little bit. The biggest challenge was choosing to do the US in Prague because we didn’t really have the time or the budget, as I would have loved to do, travel and shoot in Princeton NJ. But our Princeton University was the sort of Victorian brick exterior, which is one of the very few brick buildings in Prague, and which is a maternity hospital where, interestingly, about half of our crew was actually born! It’s a very beautiful brick building with courtyards and brick walls, which became our exteriors for Princeton. And they worked quite well. So, it’s a combination of production design and set decoration and visual effects and graphics and all of those people working together to make it look and feel real. What you want the audience to do is to just feel immersed in the environment, that’s obviously always the goal. Biller: Yeah, we had to pull out a lot of street signs, replace a lot of street signs and remove or cover up parking meters...you know, all those tricks the movie and television people know so well. From what you had envisioned, when you came onto a set, how did they meet that vision? Biller: Well, usually they exceeded it. The truth is, you know, I’m heavily involved in prep for all these episodes, so it’s usually not like a giant surprise when I walk onto a set. I might not have seen it fully dressed, but certainly have spent a lot of time in meetings with the production designer and the art department, and done location scouts, and I’ve looked at photographs and renderings. Matt Gant, who designed the last three episodes that I directed, would do computer renderings for me, and 3-D models, and we would look at things together, as they were being built. But quite often I’d show up on a set and think, “Wow, this is so much better than I thought it would be. 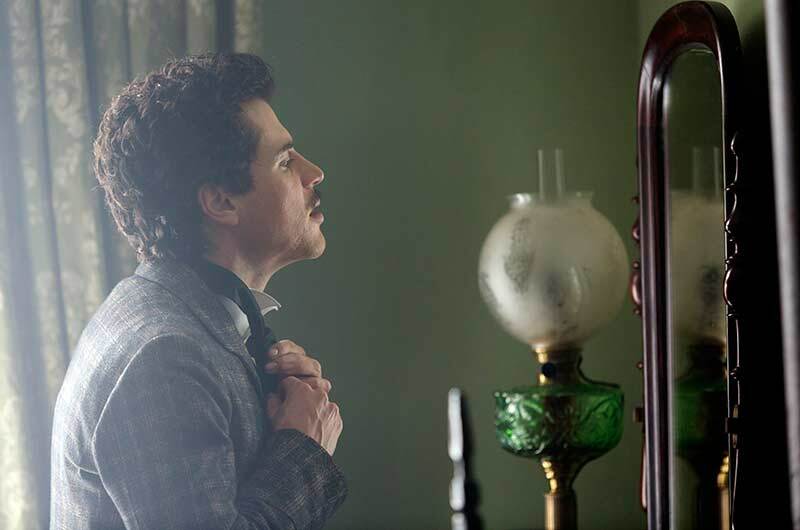 It looks spectacular now that I see it all dressed.” And it would be great. You know, there were some challenge sets that I asked if we could possibly do them, and they said we could, and they did. There’s an important part of the show in Episode 9 that, of all places, takes place in 1939 at Fenway Park in Boston. And so of course there’s no baseball stadium in Prague, it’s not a place they play baseball. And we...I shouldn’t say we, because I didn’t have anything to do with it...our incredible production design and construction team had to build a dugout on the stage...on a green screen stage...and in terms of the set decoration, they managed to get all sorts of authentic-looking baseball bats and baseball gloves and all of the background stuff that would be dressed into that. It was pretty great. And another thing that comes to mind...Einstein came to America for the first time in New York City on a giant cruise ship, and obviously there’s no port in Prague, but we managed to, with some green screen extension, the audience will see the giant cruise ship from the Holland America line and they will see Einstein and his entourage walking down a gangplank to a pier where there are hundreds of people, which is all true, waiting to greet him. 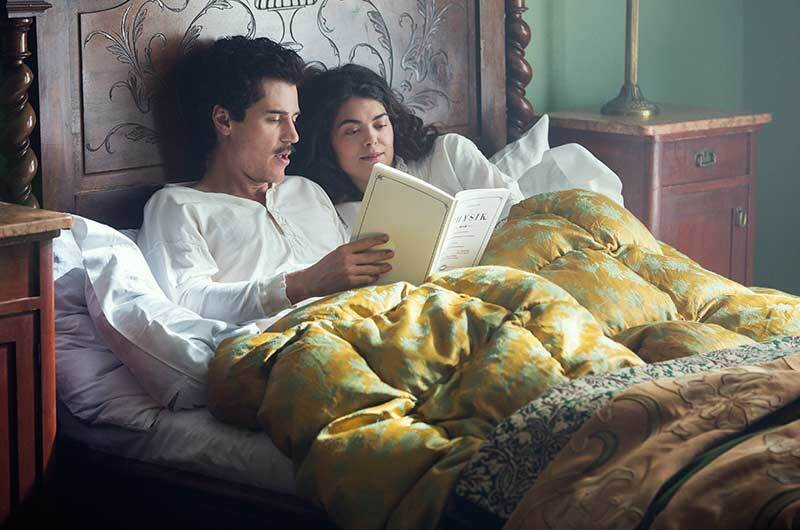 And there are all sorts of period details there, whether luggage being off-loaded from the ship to vehicles to period costumes and period musical instruments and extraordinary signage with beautiful graphics, and all the other things that were done by our decorators. Those are things that you kind of imagine, and you say, “Well, how the hell are we going to do that?” and you have a bunch of really talented creative film people who know how to do it. SET DECOR: And who embrace the challenge and go for it. 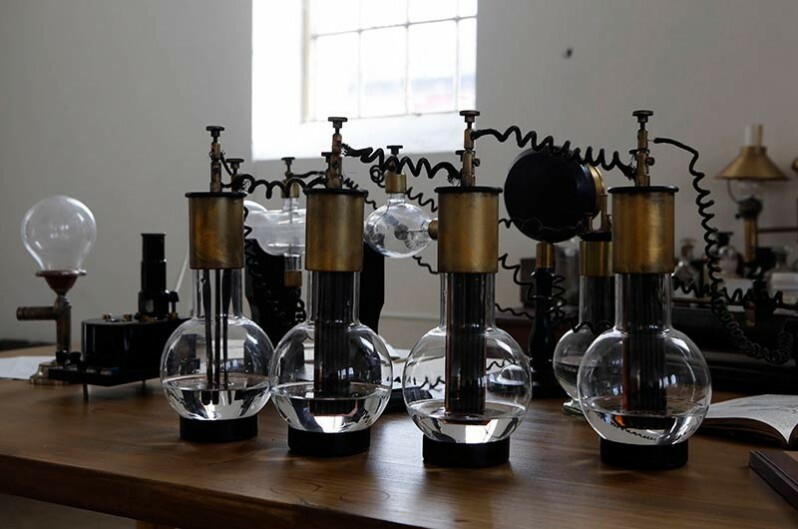 Biller: Fortunately, we had references of the pipes he smoked—he had a lot of pipes! Geoffrey was presented with a number of different options and he chose ones he particularly liked, so there were some sort of hero pipes and then many other pipes that were more set dec. You’ll see the pipe particularly in the last episode. 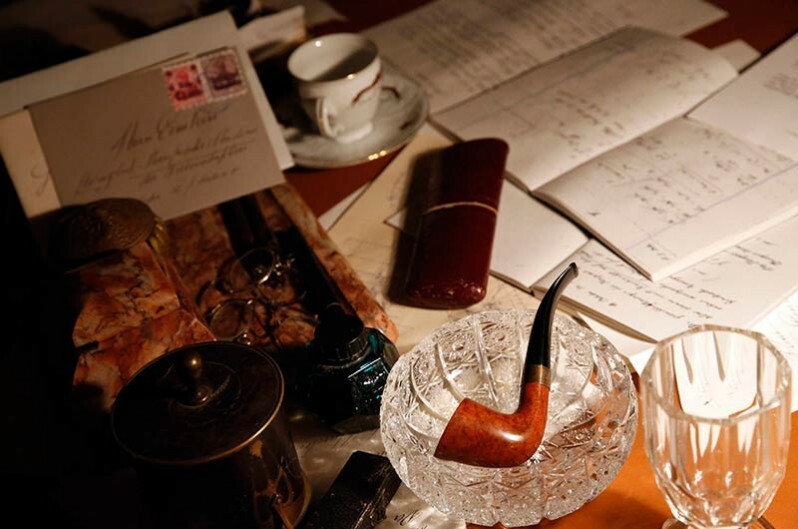 Whether or not he’s allowed to smoke his pipe becomes a bit of a story, and the pipe becomes kind of a character in that episode. And other characters smoked pipes as well. The pipes definitely are an interesting visual part of the show. And there are other fun things if you really pay attention to the show. 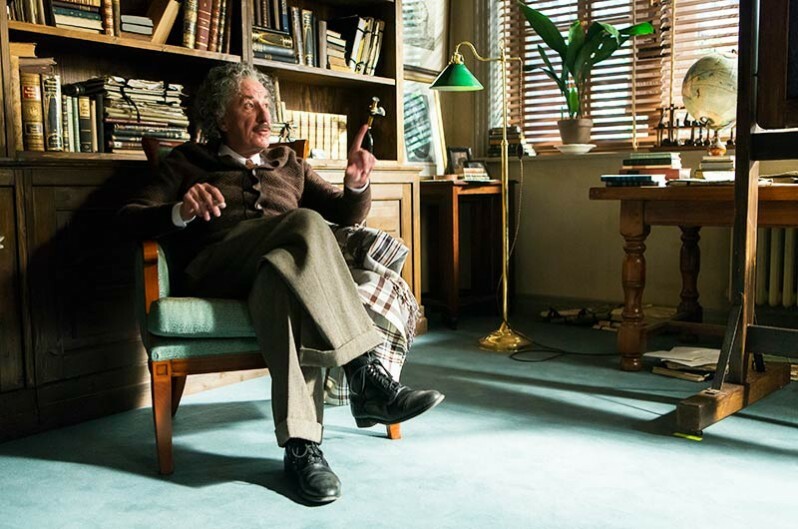 As Einstein moves from smaller apartments in Zurich to ultimately very lavish digs in Berlin, and then ultimately to New Jersey, there are a few key pieces of set decoration, certain pieces of furniture, certain clocks, and some mementos. The clocks were a big part of the show, because you know time was a big theme in Einstein’s world. 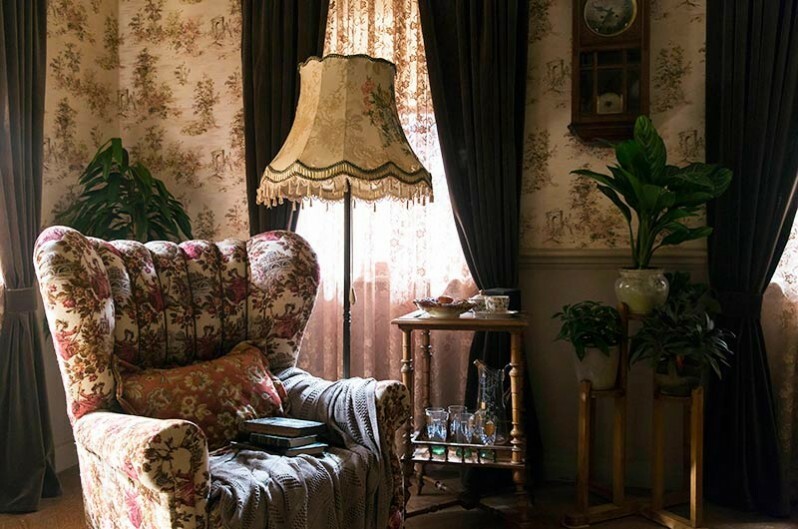 Ultimately, in the last place in New Jersey, there are a number of objects and pieces of set decoration in that house that you might also notice from when he was living in a smaller apartment many, many years before, in Zurich, say, because certain pieces of furniture traveled with him. For example, when he lived in Berlin and had made some money, he was very into like Biedermeier furniture. 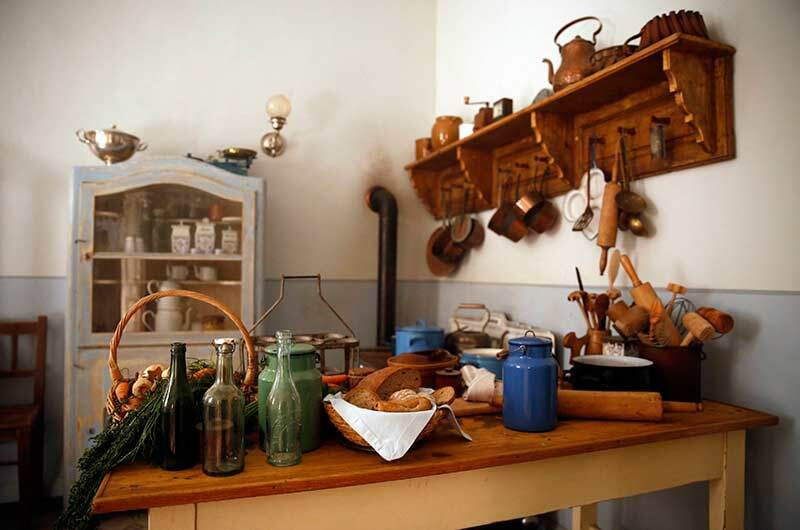 So there are pieces of Biedermeier furniture that you will see in the house in New Jersey, even though that house is a much more traditional American style home. SET DECOR: Small, important bits of a set and a story. And they add up, as did your sets! Is it true that you had over 600 sets? Biller: That may be true. I never counted but that sounds correct! 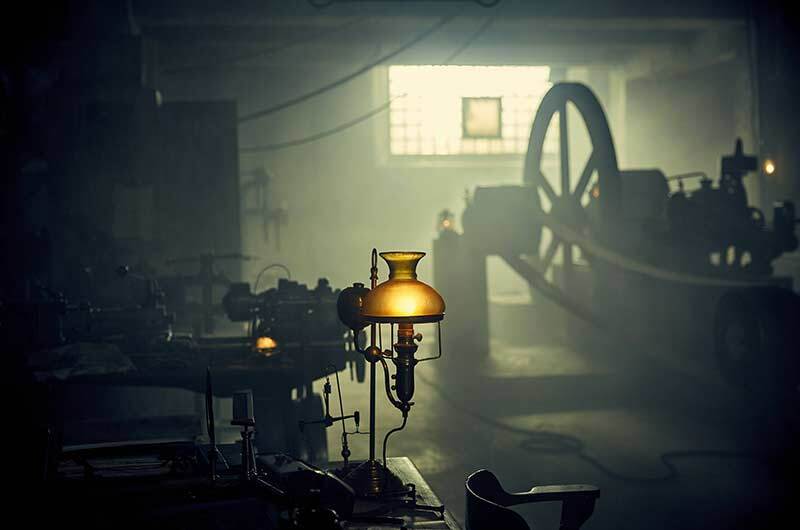 We had two different production designers over the course of the show, Jonathan Lee and Matt Gant, and set decorators Gordon Grant and Katerina Koutska, one was English and one was Czech. 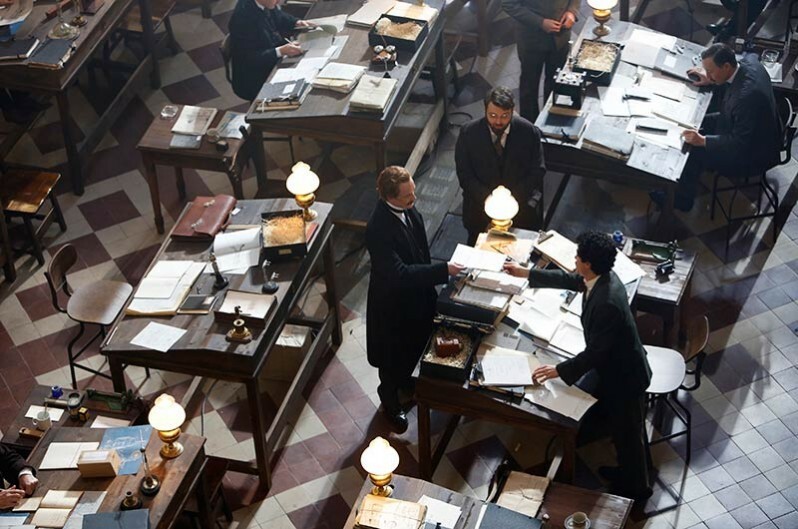 And I know we brought in props and set dec from lots of different parts of Europe in order to dress all of those sets. I’m really proud of the show and the people who worked on the show, and I’m glad you’re writing about the work of the people on the show. Since Isaac Newton’s time, people had thought the universe was neat and orderly, that it ran like clockwork. But Albert Einstein turned all that on its head to reveal that’s just how it seems. 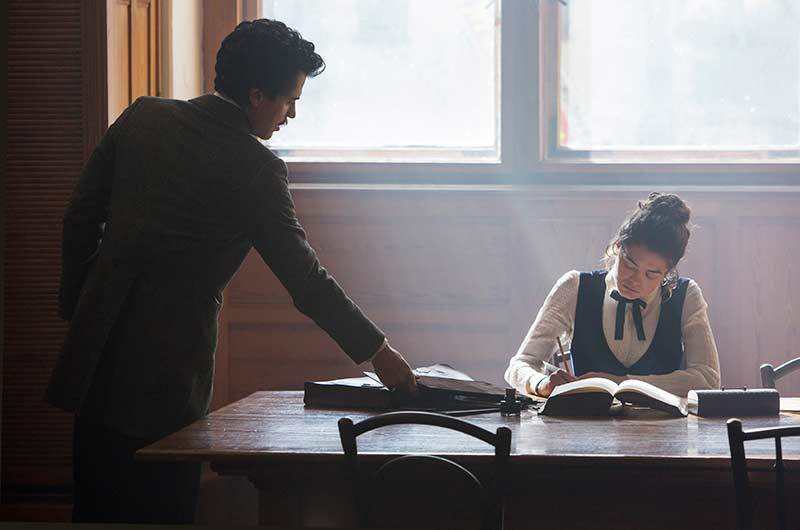 As a 16 year-old, Albert imagined riding alongside a beam of light and observing the light, apparently stopped by his motion. Discarding Isaac Newton’s concepts of absolute space and time, the theory of special relativity posits that material objects cannot beat the speed of light. The closer to the speed of light we travel though, the slower time will pass, and the more lengths will contract and masses will increase. The theory gave rise to the possibility of space travel to distant stars if we can travel quickly enough, because of the effect of time dilation. It also means that while one twin could go on a high-speed journey and return after a few years, they would find the other twin who stayed on Earth has aged far more than they have. At the speed of light itself, time stands still, so a photon travels across the Universe instantaneously from its point of view. In his first papers on the subject, Albert referred to it as the “relativity principle”. The term “theory of relativity” was first used by Max Planck in 1906 to describe the Lorentz-Einstein equations of motion for the electron. Albert finally adopted the term in 1907. Then, in 1915, he began to refer to his “special theory” as being related to space and time, to distinguish it from his new theory of gravitation, the “general theory”. The reason the theory is called “special” is because it was limited to objects that are moving at constant speed in a straight line. Imagine being in an enclosed elevator accelerating up through space. The effects you feel would be indistinguishable from the experience of gravity. General relativity was born out of Albert’s attempts to apply the principles of special relativity to acceleration and gravity. He considered it his life’s crowning achievement and, to this day, it is considered one of the most beautiful theories in science. To a steadily moving observer, the laws of physics are unchanged, but when accelerating this no longer holds true. Gravity, Albert proposed, was a warping of space and time. From this, he came up with equations to describe how the dynamics of this curvature result from the interplay between matter, motion and energy. For example, picture what it would be like to roll a bowling ball onto the two-dimensional surface of a trampoline. Then roll some billiard balls. They move toward the bowling ball not because it exerts some mysterious attraction but because of the way it curves the trampoline fabric. Now imagine this happening in the four dimensional fabric of time and space. Energy equals mass multiplied by the speed of light squared. Albert’s most famous equation was born out of his special theory of relativity. It allows us to understand how energy and mass are related, and to unlock the energy hidden in all the solid objects around us. It states that energy and mass are interchangeable (much like dollars and euros), and that the speed of light is the exchange rate. Among other things, the answers this equation offer can help us determine why stars shine and why nuclear power is so much more efficient than coal or oil. 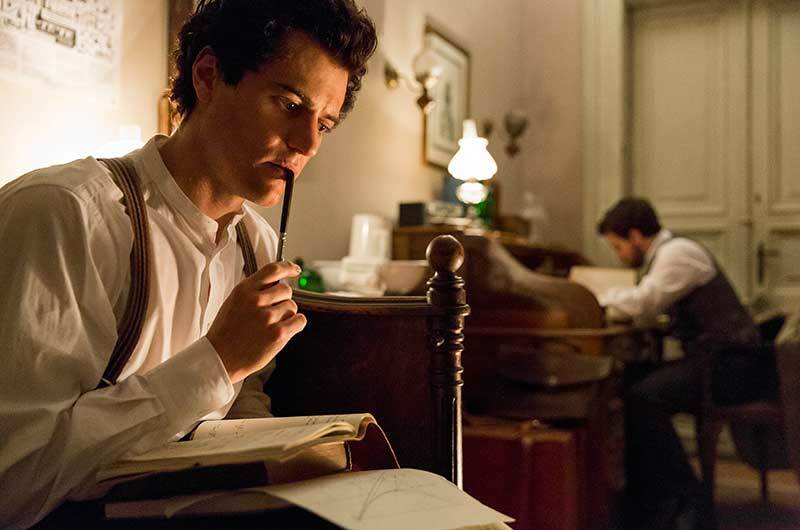 Albert Einstein’s work has continued to inspire physicists. In 1993 a Nobel Prize was awarded to the discoverers of gravitation waves, predicted by Albert. In 1995 a Nobel Prize was awarded to the discoverers of Bose-Einstein condensates (a new form of matter that can occur at extremely low temperatures). Scientists have by now identified thousands of black holes. New generations of space satellites continue to verify Albert’s cosmology theories. And many leading physicists are trying to finish Albert’s ultimate dream of a “theory of everything”.